To the Graduates of December 2018, congratulations and thank you so much for entrusting us with this part of your journey. You are world changers! The lives you’re about to impact – because of your bold decision to pursue your passion and calling – will, in turn, change the world. LCTI Graduates 42 Coaches from 16 Countries in October 2017! 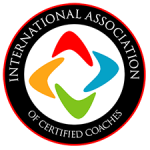 LCTI Graduates 40 Coaches from 10+ Countries in November 2017! LCTI Graduates 63 Coaches from 10 Countries in September 2018! LCTI Graduates 83 Coaches from 12 Countries in January 2018! LCTI Graduates 51 Coaches from 11 Countries in June 2018! LCTI Graduates 63 Coaches from 9 Countries in July 2018!